A Swedish prosecutor has announced she won’t continue investigating a former star surgeon who has since fallen from grace. 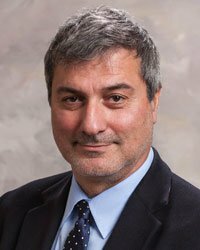 Paolo Macchiarini made a name for himself by transplanting synthetic tracheas. After multiple patients died, however, allegations against the researcher have continued to swirl. He was dismissed from the Karolinska Institutet last year, after it reopened its misconduct investigation. The Swedish prosecutor was investigating Macchiarini’s role in the deaths of three out of four patients he operated on five times between 2011-2013. Although the prosecution concluded that most of the operations proceeded “negligently,” it could not conclude Macchiarini was criminally responsible. Macchiarini’s lawyer Bjorn Hurtig previously acted as a lawyer for Wikileaks founder Julian Assange. As part of the investigation, Nordin and two other prosecutors conducted approximately 80 interviews in Sweden and abroad. The actual treatment method was unproven and there was a lack of sufficient scientific support. As mentioned, animal studies had not been performed. PM had good information about the research situation. Furthermore, the investigation has shown that it was not entirely evident to any of the persons in what way the transplanted synthetic tracheas were actually going to be developed. The fact that there was faith and hope in that this method would work cannot motivate that it was clinically used at such an early stage…There is no doubt that the use of synthetic tracheas has been negligent and that is has entailed a deliberate risk-taking of a serious nature. This is negligence that throughout a series of operations has also increased along with the continued absence of positive results, in part with the occurrence of negative findings. Criminal sanctions for misconduct are rare: Recently, we found only 39 science researchers from seven countries had been criminally sanctioned for research misconduct since 1979. Among the more than 250 researchers sanctioned for misconduct by the U.S. Office of Research Integrity over the same period, less than 2% also faced criminal sanctions. We presented the findings of our survey at this year’s World Conference on Research Integrity. For more details on the Macchiarini case, check out our timeline. Next Next post: An accomplished philosopher invented a pseudonym. Why?